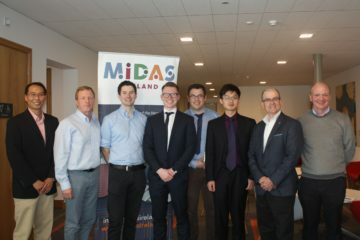 MIDAS Ireland is delighted to announce the winner of the MIDAS 3rd Level Project Competition 2016. The winner was Barry McDermott from NUI Galway with “Night -time Object Detection with Automotive Camera”, Tutor: Martin Glavin. Barry receives the €1,000 Winners prize. 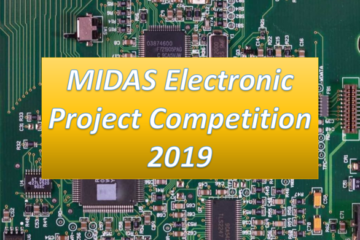 The runners-up are Yipeng Shen from IT Carlow with “Ultrasonic Tape Measure” and Damien McCormick from ITT Dublin with ” Design and Implementation of an 8051 Microprocessor in Verilog”. They each receive a €250 Runners-Up prize. 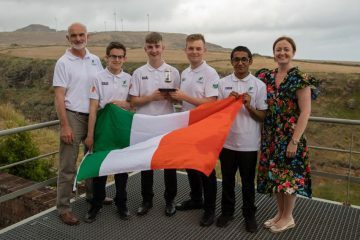 The competition has been kindly sponsored by Analog Devices. The winner was announced at a MIDAS Ireland meeting in Tyndall National Institute, Cork on Wednesday, 5th October 2016. The prizes were awarded at the MIDAS meeting. The Adjudication Panel acknowledged the very high quality of submissions received for this year’s competition and received 36 submissions this year which was very encouraging.